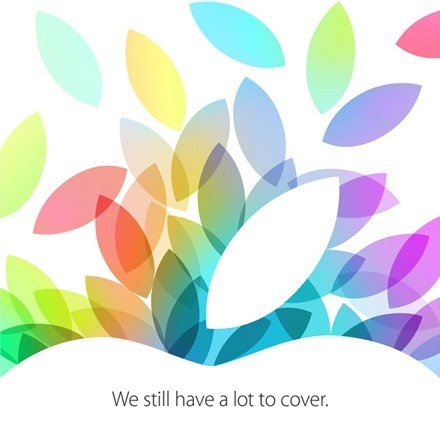 As expected, Apple has confirmed it will be holding a special media event next Tuesday, October 22. Invites went out yesterday to lucky media members and of course it’s widely expected that Apple will be unveiling new iPads at this event. The event will start at 1PM Eastern on October 22 and Apple has not yet announced whether they’ll be doing a live stream during it. The general consensus of rumors leading up to the announcement is that we’ll see a new slimmer, lighter iPad 5 and an iPad mini 2 with Retina display. Apple has not been able to keep too many secrets over the course of their last few big new product announcements, so I’d imagine these latest rumors won’t be very far off at all. Other news that is likely or possible at the event may include word on new MacBook Pros and /or Mac Pro, OS X Mavericks, and possibly an update for Apple TV. It’s Hurry Up and Wait time of year for iPad fans.